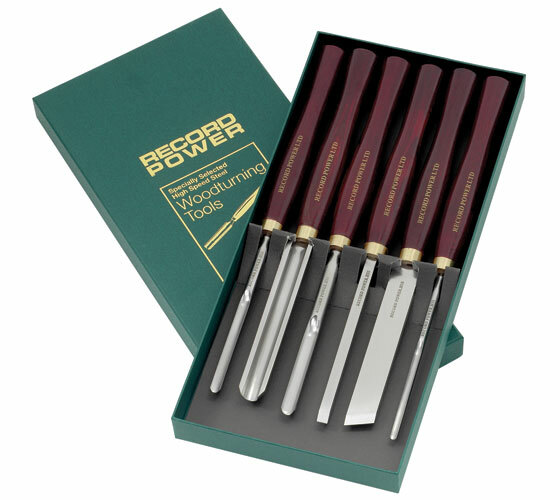 These sets offer increased value for money over individually bought chisels and comprise the most popular and useful chisels, making them ideal choices for the vast majority of woodturners. 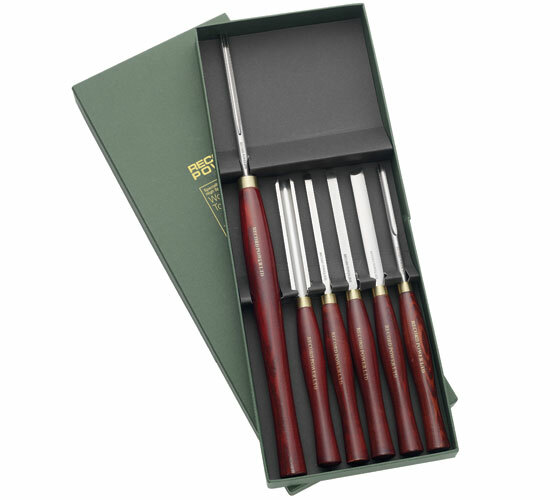 This set of chisels are ideal for small projects such as pens. Their compactness makes delicate and fine work easier. 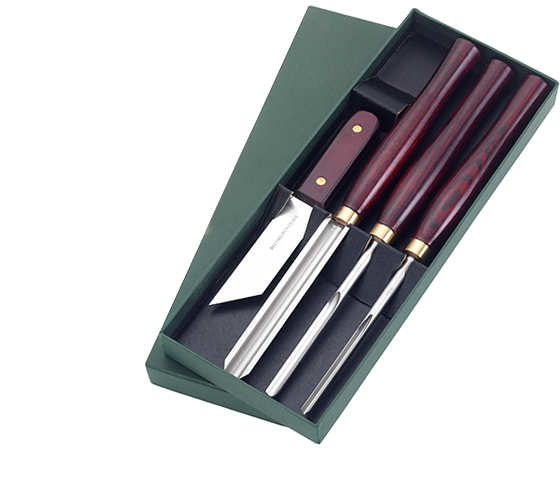 The chisels come in an attractive presentation and storage box. 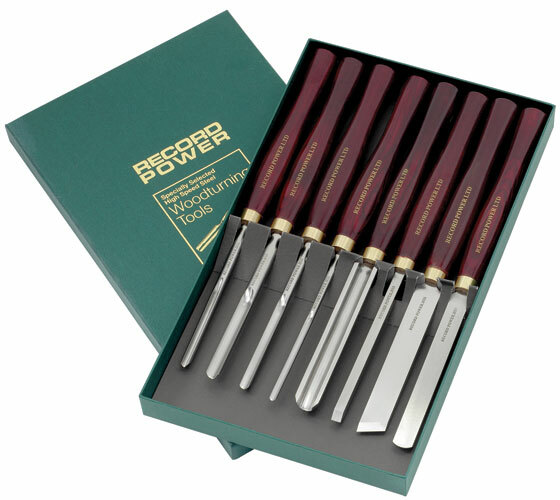 Containing a roughing gouge, spindle gouge, bowl gouge and parting tool, this essential set of chisels are perfect for the budget conscious beginner who wishes to embark upon a wide range of projects. The set comes complete in a sturdy, high quality storage box. 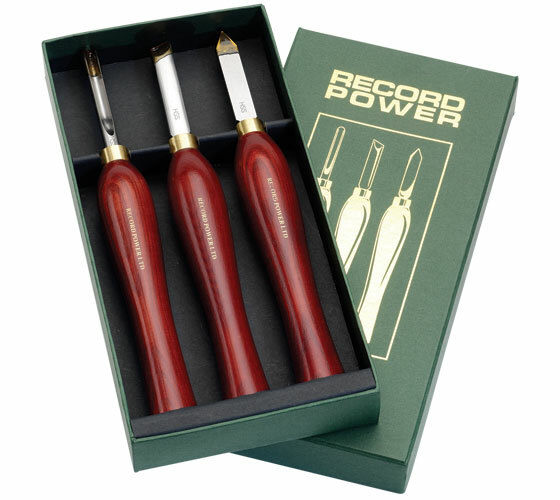 A comprehensive set of essential spindle tools, supplied in an attractive presentation box. This set makes an ideal starter set for those wanting to turn end mounted items such as bowls, platters or goblets as well as spindles. It contains all the essential tools to get you started. The set is supplied in an attractive presentation box. All you really need for spindle and bowl work. The set is supplied in an attractive presentation box.